Summer is a good time for parents, religious education teachers and youth ministry workers to take a moment to consider what worked last year, and what we should do for the coming year. What are we teaching, what are they learning, and where are we headed? Do we need to change directions? Is there something more we could do? In my home Metropolis, the Greek Orthodox Metropolis of Denver, this conversation is necessarily touched by the recent school shooting in Santa Fe, Texas. That’s right here in my home state. The shooter was from a Greek Orthodox parish in our Metropolis. If he had come to camp, I would have known him personally, because that’s our camp, the camp where my family goes, and where I work with kids every summer. Those of us who thought that our children could never commit such a crime, are faced with the realization that no one is really immune from the difficulties and spiritual illnesses with which young Americans are struggling. Baptism is not a get-out-of-jail-free card. This is a difficult time to be growing up, no matter who you are or what church your family attends. 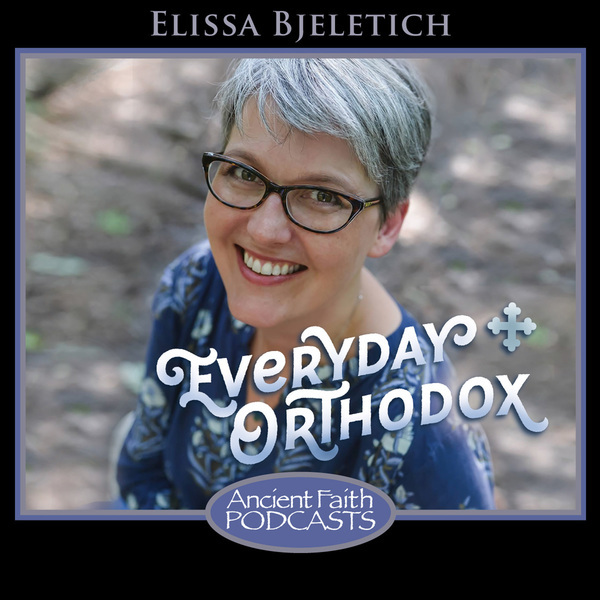 Affiliation with the Orthodox Church is not a guarantee that your kids aren’t going to succumb to the same temptations and struggles the other kids are facing. The problems that affect this whole culture impact our kids too. It’s a lot easier to try to push away these questions with pat answers, like, “School shootings are not consistent with Orthodox teachings, so that kid obviously wasn’t Orthodox” or “His parents must have made a mistake”. The more difficult (but also more fruitful) path is to say, these things are happening in our culture and they impact our kids too, just like everyone else’s kids. Let’s turn this into an opportunity to take another look at how we raise young people in the Church. Let’s ask ourselves what we can do, as parents and youth ministry workers and as responsible human beings in the Church, to help our young people struggle through this difficult world. How do we equip them to live in a world where these things happen? What can we do to nourish them in a way that will keep them from becoming the next school shooter, or from following another of the many destructive paths available to them? This world offers many paths to death, some more violent and some more peaceful. How do we show our kids the better path and help them want to stay on it? In Sunday School, we learn that Our Lord Jesus Christ taught us very clearly that the most important commandments are to love God with all our heart, soul, mind and strength, and to love our neighbors as ourselves. We tell them that God is Love. But do we go a step further and teach them what it means to actually love other people? Literally, how do we show love? I think we assume that people know that already, but maybe they don’t — or maybe we could do better. I think that it’s really good to teach the good behaviors and morals to which the Church calls us, but sometimes we are just listing rules. Rules are great, but Christ doesn’t really call us to be good people. He calls us to pick up our cross and follow Him, to love Him first, and to love Him in such a way that nothing would stop us from chasing after Him. The most effective way to really form a young Christian is to help them develop a real love, a real yearning for Christ. If they truly love Christ and want to be closer to Him, they won’t think of these things as rules to be followed, but as the cherished path that is going to carry them closer to the love of their lives. It really has to be about love. We learn how love works experientially. If we want them to know Christ’s love, they must learn it from us, from the Church. 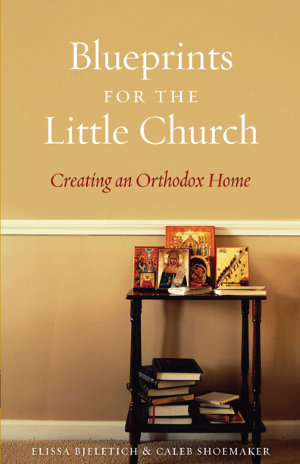 They must learn Christ’s love in the home, as the family embraces its calling to be the Little Church. And they can learn it in the parish, if we can take seriously Christ’s call to be His Body. So often, we think of ministry as a collection of programs, but what if instead we understood ministry to be a collection of relationships? 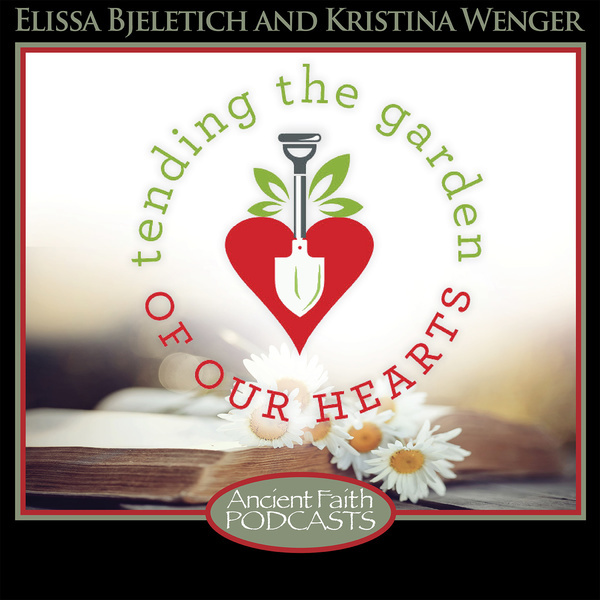 What if we look to cultivate a loving culture in our parishes? What if we looked to mold the way that our parishioners interact with one another and with the outside world? One of the themes that comes up when we ask the question, why do young people leave the Church?, is that this generation sometimes hears the gospel call to love one another as I have loved you, and to feed the hungry and to visit those in prison, and then looks at our Orthodox parishes and see that call going unanswered. In some cases, they see that we are more focused on capital campaigns or on throwing parties than on feeding the poor — or worse yet, sometimes they find that while our Church talks a lot about love, the individuals they’re meeting at church don’t seem very loving. Are we people who bicker and quarrel and complain? Or are we people who embrace one another and cook for each other and sit and share deep conversations? Do we really listen to each other? I’m not justifying their exit from the Church — I feel strongly that we are all called to repentance and to helping one another as we struggle with our communal flaws and weaknesses. But it would be wise of us to stop and ask ourselves: do we, as a parish, respond visibly and palpably to Christ’s call to love one another? Is there more that we can do? Are we radiating Christ’s love? Last September, I spoke at a wonderful Family Ministry Conference hosted by the Center for Family Care of the Greek Orthodox Archdiocese. (The video is available online in the Specials section at Ancient Faith Radio.) At that conference, I really became convinced that all of our ministry is about turning people into Christians, and that the best Family Ministry would be to equip all of our parishioners with the basic skills required to be loving. We say that Christ calls us to love our neighbors, but we don’t always translate that for people. What does that look like in real life? What is love in action? How do you become all-loving? We assume that people know how to love one another, but unless they have been given some very good examples, they may not. Search online for something like, “how to be a friend to a person who has cancer” or “how to help a grieving friend” and you’ll see countless articles that both describe our failures and offer better strategies. We actually do it wrong all the time. We encounter someone in pain and we say the wrong things — and sometimes, in a parish community, that will actually drive someone out of the Church. We don’t automatically know how to be loving; we need to be taught. This younger generation is doing so much of their communication digitally and is presented with many dysfunctional relationship models. If the Body of Christ isn’t teaching them what love is, who will? Will it look like Christ’s love, or will it look like something else? As this summer began, our Youth Ministry team — which includes no paid employees, but is made up only of parent volunteers — talked a lot about the difference between setting up good programs and schedules, and really teaching love. Are we ready to sit beside our kids and talk honestly? Can we listen to their concerns and their problems without interrupting or moving to arrange the next thing? Can we be vulnerable and agree with them — sometimes I worry about that too, this is really hard. Can we be co-sufferers on this path with them, and sit with them through their hard times and celebrate their victories, and mean it? Can we stop hanging out with each other, and really get to know them, so that they are really loved in this ministry and in this parish? It’s really nice to tell the kids to sit next to the lonely kid — but are we doing that? Are we connected and engaged? How will we expect them to be connected and engaged if we aren’t? One of the most beautiful and natural ways to build love is through prayer. When we pray for someone, we grow in our love for them, and of course, they benefit from our prayers. We Orthodox are good at putting people’s names on our prayer lists, to be remembered (hopefully) during our daily prayers. But where a lot of Orthodox begin to stammer and stutter is when they stand together in a group to pray. In addition to our beautiful prayerbook prayers, written by Holy Fathers and Beloved Saints, we should be able to offer spontaneous prayers for one another, and sometimes that’s hard for us. We’ve decided that we’re going to try to create a youth ministry tradition at Transfiguration where we never say, “Quick, let’s pray so we can eat” (what does that teach about the importance and power of prayer?) but where instead we all stand and pray together in a circle, and then we pause and ask for intentions. Anyone who likes can offer something up — please pray for my grandmother who is struggling with cancer; please pray for me as I enter finals week. We’re going to encourage everyone to share their struggles and their worries, and to know that we as the Body of Christ can lift each up to the Lord, trusting that He will help. 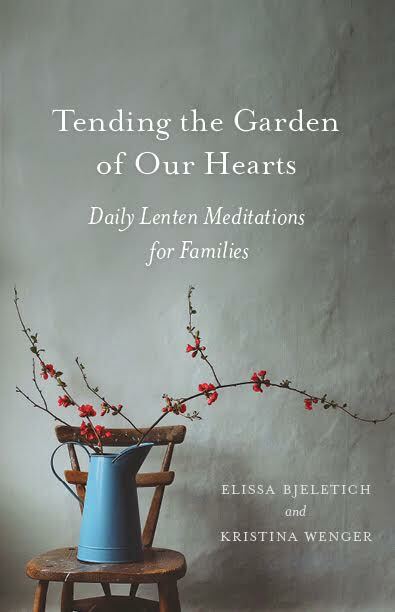 There are some simple things that can be taught — how to listen actively, how to argue constructively, how to express our emotions in ways that make sense to other people — that could really make a difference in the quality of relationships in our families and parishes. These may be secular ideas, but that doesn’t mean they’re off limits or useless at church. Anything we can do to improve loving relationships is going to help us function better as the Church. How can we radiate Christ’s love without knowing how to be loving? What’s more, psychology may be offering these ideas up today, but that doesn’t mean that Jesus hasn’t known about them since the beginning! I love a sermon I found on the St. Mary Antiochian Orthodox Church website called, Jesus the Active Listener. Jesus was active listening before active listening was cool! When we learn how really listen to one another, we are actually learning how to love one another. 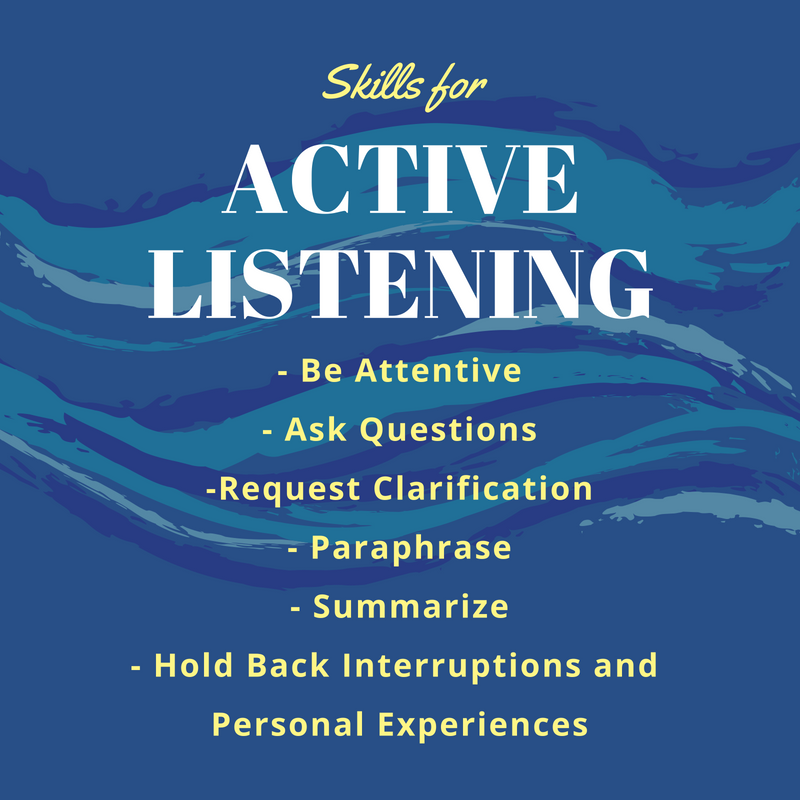 There are so many situations where our parishes could be strengthened and improved if our parishioners were just really good at active listening. These are hypotheticals, but we’ve all seen them. When parishioners go through difficult times in their lives — whether they are grieving a lost loved one or struggling with a chronic illness or addiction, when they hit periods of unemployment or marital troubles — wouldn’t it be wonderful if our parishes were hotbeds of good listeners, so that we could walk through the Valley of the Shadow together? What if our parishes were just so loving and supportive that no one could bear to leave? Imagine what kind of witness to Christ’s love might radiate from such a parish! Seeking to love Christ and each other, YES (Youth Equipped to Serve) creates opportunities for participants to engage with the poverty of their city, equipping them to become servant leaders in their own communities. A barrier that often keeps people from serving is the view that some individuals are more deserving than others. YES counters this with unconditional love; no human is more deserving of love than another. As each is created in the image and likeness of Jesus Christ, each is entitled to compassion, mercy, and love. In YES, we work to extend this love to all, especially to those who are often considered undeserving or unworthy. Being in community means serving the needs of others before serving one’s self. In YES, we recognize that if everyone is looking out for one another, then no one needs to focus on themselves; one is taken care of by their neighbors as one works towards serving the community’s needs. This understanding of community starts in the group gathered for a YES trip and expands into our view of the city we serve. When we first seek to take care of those around us in our community, we too will be nourished and supported by this work. YES seeks to empower participants in their own communities by equipping them with the tools needed to serve. These tools include a perspective uninhibited by stereotypes, an attitude of readiness to meet the needs they encounter, and the ability to take initiative. We emphasize that a YES trip is not a singular event. Rather, it is a starting point for a life of service in Christ, a life centered on loving those around us. We’ve been inviting YES to our town for six years now, and we can feel the love that grows among our young people. We’ll be bringing them back next year — and you should consider doing it too! The YES method for teaching loving behaviors like humility, Active Listening, service-oriented leadership is so effective and enjoyable. This is how Christians are made. Faithtree is a ministry of St. Michael Antiochian Orthodox Church in Van Nuys, California, and its purpose is to provide educational programs from a Traditional Orthodox Christian context in the language of our day, and to equip families in North America to live what they believe. 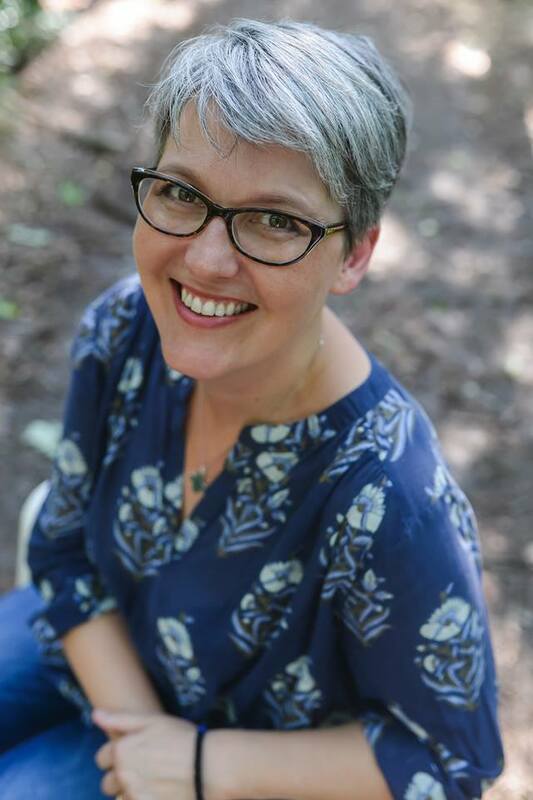 They bring their curriculum writers together with theologians and therapists (and for the youth materials, youth workers) to write programs that educate people in exciting new ways. They tend to offer short (20 minute) videos followed by a live discussion. (So as a leader, you might show a video and then use their guide to lead the discussion.) In addition, Faithtree provides a lot of resources to support your efforts. I think that all of the different programs Faithtree is developing could be very beneficial to the parish culture, but in particular I’d like you to look at the Relationship Project for young people. Our young people today are facing difficult questions and situations in their lives, challenged by what society encourages as they face conflicting ideologies from peers, their schools, and the media. There is a disconnect between those conflicting ideologies and what the Church teaches as truth. Faithtree believes that the questions our teens are asking cannot be addressed by a ten-minute sermon or by simple statements about what the Church does and does not support. They require deeper discussion, exploration, reflection, and explanation. And this process must take place in the context of deep and meaningful relationships between teens and their spiritual leaders and peers. At the end of the day, it is all about relationships. It is in and through relationships that we grow closer to our Lord and Creator. It is in and through relationships that we learn who we are and who we were created to be. And it is in and through relationships with teens that we can effectively teach them. As we have beta tested this material in many different youth ministry settings, we have been amazed to watch teenagers open up, ask profound questions, find true peace in the truth, develop real relationships with peers and leaders, and grow deeply connected to the Church. It is amazing how when we simply open up a space to teenagers where they can come as they are and bring all of their questions and struggles, they are open to learning and want to keep coming back. Teens are yearning for truth and faith. When we embrace them, listen to them, love them, laugh with them, encourage them, and then teach them in this context, they feel a part of Christ’s Church and are open to receiving it. It is within this context that our teens will desire to learn about and grow close to Christ and His Church and will prepare to go out into the world grounded in truth and love. Above all, it is the aim of youth ministry to establish and strengthen the connection between our teens and Christ. We think we have found a pretty cool formula in which to do that. I completely agree that our quick answers are not satisfying our young people, and that we must take the time to really encounter them, build relationships with them, and pass on the authentic faith in a safe community of people struggling together. We are planning to do the Relationship project with our teens in the Fall, and we’re really looking forward to it. I have long thought that they need something like this that really reaches out to them not just by offering intellectual arguments, but by struggling alongside them and offering loving relationships through which the Holy Spirit can act. Forgiveness is a powerful weapon that can break the cycle of evil. I am a church school teacher in Montreal, Canada. My church is The Sign of the Theotokos, Orthodox Church in America. We don’t have the access to guns like your children. Our gun laws are more strict. Also, our constitution doesn’t promote the right to bear arms. Sorry. However, I love your article on teaching love, Love as Christ taught. Unconditional Love. You’ve given me some real substance going into our fall season. I look forward to reading your books. May God continue to bless you with your potent ministry.